MORE than 300 suspected looters have been arrested in Bulawayo as police have intensified the hunt for hooligans who committed various crimes during the illegal stay away last week. Bulawayo provincial deputy police spokesperson Inspector Abednico Ncube said the police are still on the ground looking for the malcontents who were involved in the violent protests, which saw the destruction of infrastructure and property including the looting and burning of most shops in the city's western suburbs. "We are still on the ground and investigations are still ongoing and will continue until we bring all the perpetrators that were involved in the skirmishes during the illegal stay away to book. We had already cast our net wide, now we are drawing it close to pick up the fish meaning we are closing in on the criminals. The perpetrators were mostly locals thus we are going to find them. We are also urging members of the public to identify the looters and ensure that the looted goods are also taken to their nearest police stations," he said. Insp Ncube said more than 300 suspected shop looters had been arrested and taken into custody as of Friday. 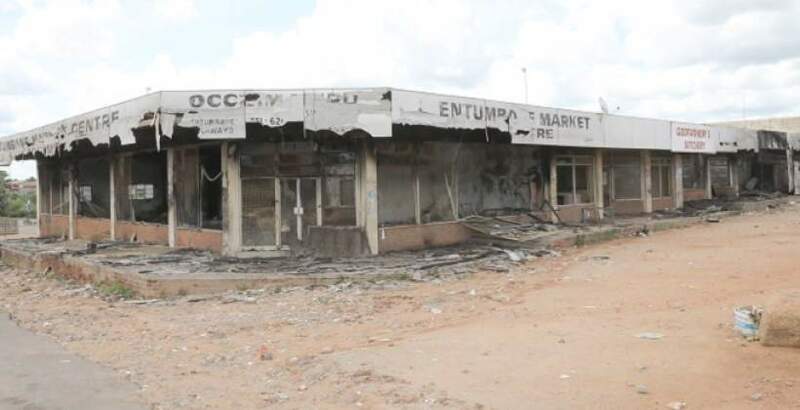 Confederation of Zimbabwe Retailers president Denford Mutashu said Bulawayo was the hardest hit by the terror attack estimating the total lost by business throughout the country to be close to a billion dollars. "So far the estimates that we have from the calculations, which are still going on because we need to have a final figure because some are not willing to disclose how much they have lost due to the forced closure or looting but certainly we believe that the whole economy both formal and informally, we should have lost about a billion dollars in those three days that business was forced to shut down because there wasn't any economic activity whatsoever. Imports were not coming through, exports were also not happening, so the whole country was brought to a standstill by marauding rioters. "You cannot have a handful infringing against a whole nation of citizenry. Barricading roads and stoning public transport. The act of violence that was perpetrated was actually inhuman and the long arm of the law must definitely catch up with them. "We also appeal to the police to cast the net wider and arrest everyone who was involved in the looting. " he said. More than 600 people have been arrested countrywide in connection with the disturbances.